Hello and good morning everybody, welcome back to my website. 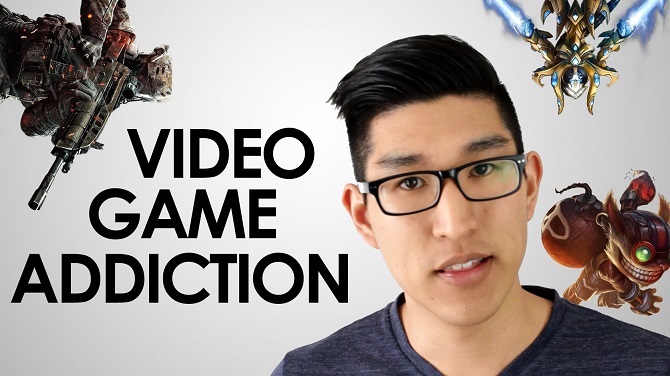 Today I want to share you a topic about how to give a treatment for gaming addiction to several people who get too addicted to a game. Well, as you know there is so many cases of people get stuck and playing the game all day. In more serious case, they even lock their own self inside their bedroom and stop socializing with the other people. Yeah, they change their lifestyle from social being into anti-social being. The case of people addicted to playing game become worst and worst every day. There are even several cases of death because of playing a game like in China, Singapore, Thailand, and even in Indonesia. That’s why nowaday game become a concern for several countries. There are even a several issues to prohibit open a net cafe in residential and schools area in several countries in order to suppress the growth of people that become a gamer. However, according to my opinion isn’t this also breaking human freedom to live, huh? I know playing game can’t give anything to you, I really concern about that. However, for several people who use the game to earn some money, the game also can be something useful right? So, according to you, what is your opinion about people who get addicted to the game? Is it Gamer fault or player fault? However, to stop this gaming addiction isn’t as easy as you think. Once you get addicted to something it would be really hard to stop your habit, right? Yeah, the game effect to our social life is so big. The bad effect that will also impact our life isn’t easy to avoided. That’s why today on this beautiful day I want to share a good deed to all of you with giving tips to stop your game addiction. Check this out. Do something useful to spend your time. With spending your time doing something you like aside from game. Maybe you will find your own quality time as the time flow. Explore something new in your new journey. Try to do an exploration to find something new. You can try to visit several places that have been so popular lately. Finding someone with same motivation or hobby is really fun. Yeah, you can join an organization or maybe some organizations, to make your day become more colorful than before. Find someone that can diverse your world. Well, you can try to find someone who can diverse your world. It’s quite hard, I know that. However, once you found them. Your world will be more and more colorful than your daily day. Well, I think my article today about treatment for gaming addiction is enough for today. If you think my article helpful enough for you, please share my article to the other people to make them realize that they are wrong all this time. Thanks for reading and coming to my website. I really hope we can meet again tomorrow, see you soon guys.